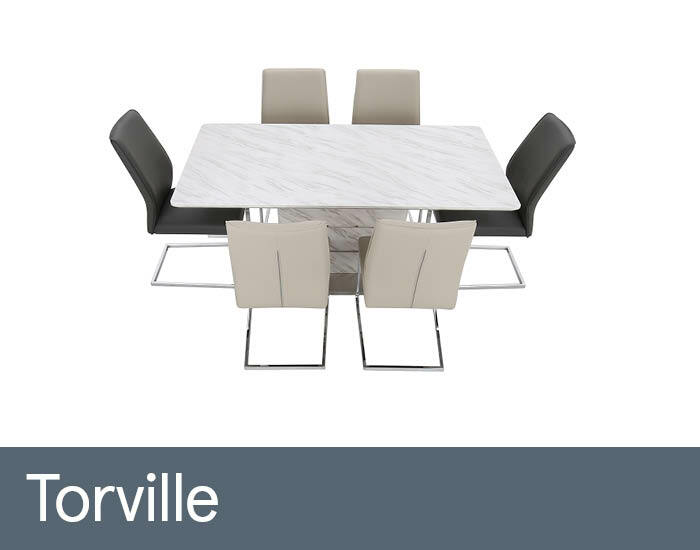 Torville is ideal for the rigours of everyday living and will enhance any modern living space, including kitchens. Its clean, contemporary lines have a sophisticated marble-look finish, which is in a durable SmarTop® melamine material that’s heat, scratch and stain resistant. A sleek brushed, stainless steel trim plus on-trend cantilever chairs complete the look.